The engine of the CS1 first appeared in 1927 as the power plant for the works racers and in a road bike the following year, sharing the same frame and cycle parts as its stablemate the ES2. The drive to the overhead camshaft is by a vertical shaft with a bevel gear at either end and features the characteristically 'cricket bat' shaped cover to the timing chest. The cambox is a separate casting bolted to the cylinder head and has protruding rocker arms to actuate the valves. 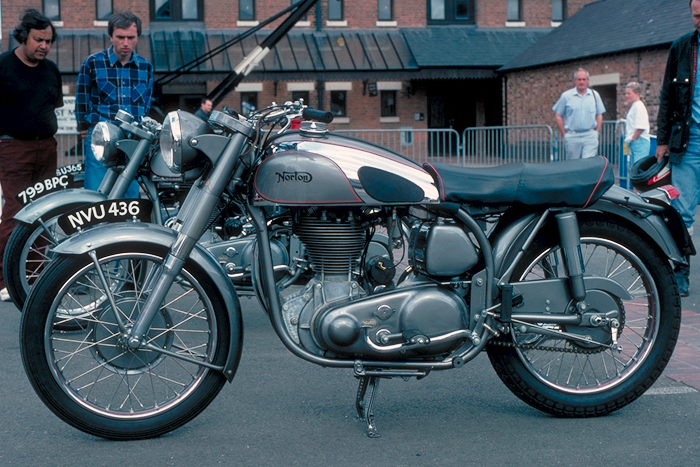 In 1929, the designer, Walter Moore, left Norton for NSU in Germany and as he owned the original patent, continued to make the engine under the NSU banner. 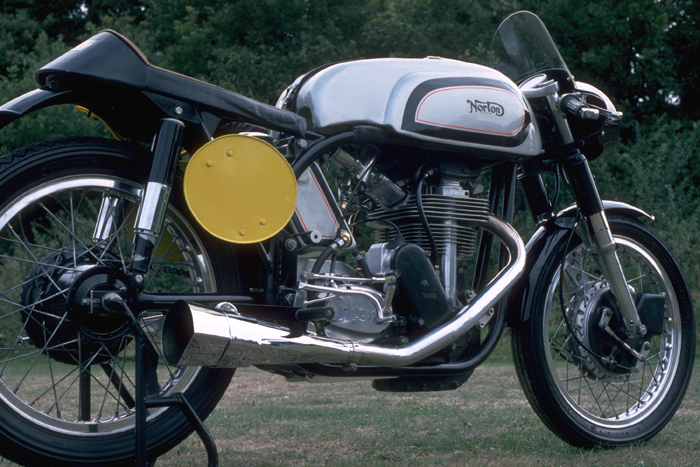 Norton therefore got Arthur Carroll to completely redesign the engine and he came up with the familiar shape that was to be produced for the next thirty years. The CS1 carried on, using this new engine from 1931 until 1939. The CS1 could be described as a touring version of the International. A smaller version of the CS1, hence the CJ for Camshaft Junior. Probably not as popular as the CS1, it is rather a rare machine these days. The Internationals, the larger Model 30 and the smaller Model 40 are a story in themselves. From the early machines were developed some road bikes and more famously the racers, culminating later in the Manx. 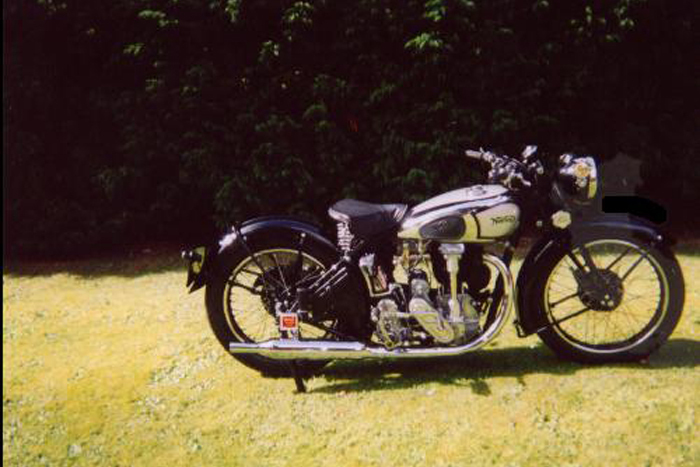 The second generation Norton OHC engine was designed by Arthur Carroll in 1929/30 and made its first appearance at the end of the latter year in the existing Models CS1 and CJ. Quickly adopted for competition use, the new engine soon proved its potential when Bill Lacey improved the world hour record to 110.80 m.p.h. at Montlhéry in France. The International itself was listed for 1932 in both 490cc and 350cc engine sizes. The specification was a mixture of racing and road features, with racing cams and options on the gearbox internals along with quickly detachable wheels and optional lights for use on the road. Engine tune was usually one step behind the works racers and cycle parts were regularly updated. 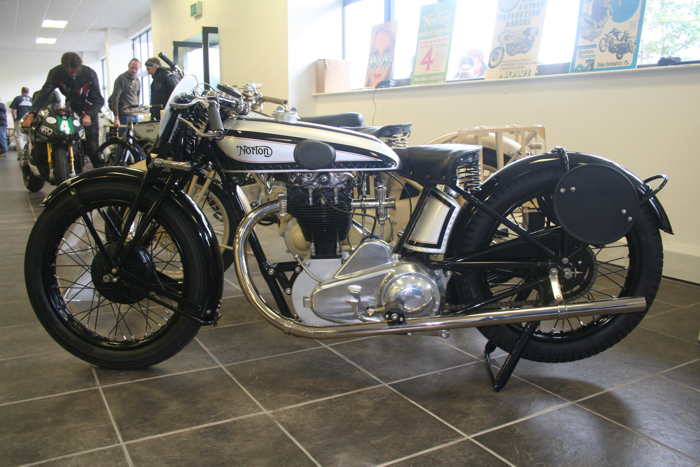 A Norton manufactured clutch was used from 1934 onwards, and the Norton/Burman gearbox from the following year. As the Manx took over from the Inter for racing purposes, the engine of the latter sadly received virtually no development beyond 1936. Nothing was done to improve its poor reputation for oil leaks either; owners had to seek their own remedy. The 29 b.h.p. output would move it along at just about 100 m.p.h. under favourable conditions. The plunger rear end frame was an optional extra for 1938, having been previously used only on the works racers from 1936. The handling qualities of the plunger and girder Norton were reckoned to be good for the type. The 1938 works bikes went over from the long stroke engine to a short stroke one with a bigger bore; typically, the works bikes design was kept a couple of years ahead of the production models. Post-war production of the International started again in 1947, but fitted with an iron head and barrel as on the pre-war CS1 and CJ machines. Although the frame was the regular 'garden gate', with plunger rear springing, the front end was adorned with Roadholder telescopic forks instead of girders. The late '40s was perhaps the last great era of clubmans' racing and many Inters were stripped of silencers and lights for racing use. Some notable successes were recorded, but the BSA Gold Stars had a distinct performance advantage so it all had to be hard won. Close ratios were used in the gearbox from 1947, but that was the last significant change before the all alloy engine was restored in 1953, along with the adoption of the Featherbed frame, an 8" front brake and the laid down gearbox. Frames used for singles can be identified easily because the right hand side top tube of the frame was flattened to clear the large nut on the end of the cam box. 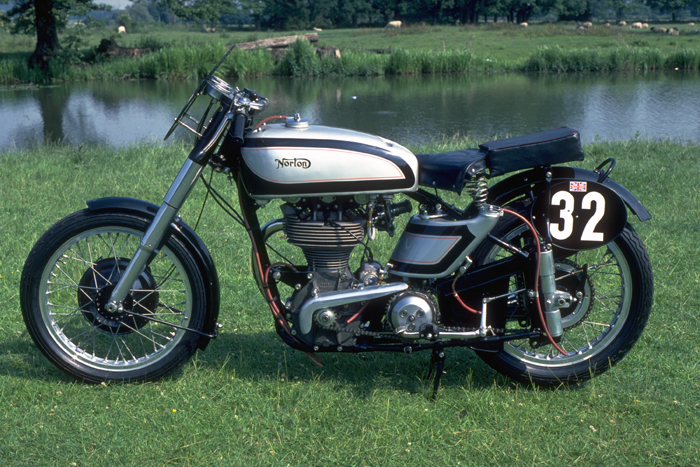 Quantity production ceased in 1955 and the International was no longer featured in the Norton catalogue, but small numbers were built to special order for two or three years after. 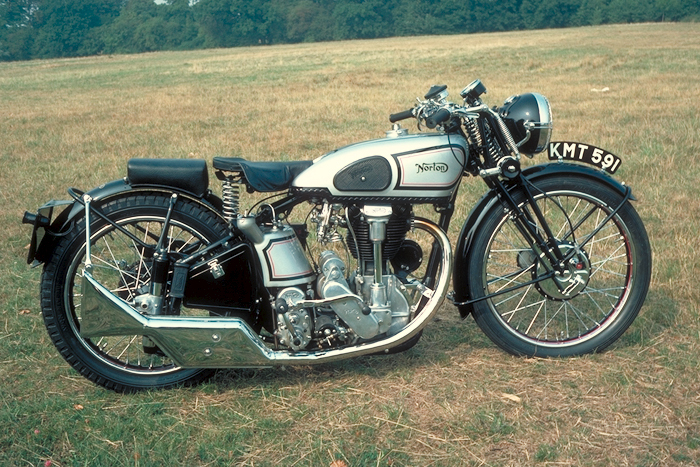 The roots of the early post-war Manx are to be found in the redesigned OHC Norton first offered for sale in 1932. It quickly found favour with the racing fraternity, but as the '30s wore on the owners wanted more of the special parts that were appearing on the works machines. This demand culminated in the Manx Grand Prix model of 1939 which had everything except the short stroke engine and double knocker cambox. The latter was not to be fitted until 1950. The works bikes had acquired short stroke engines in 1938, but these were denied to the private owner until 1954. 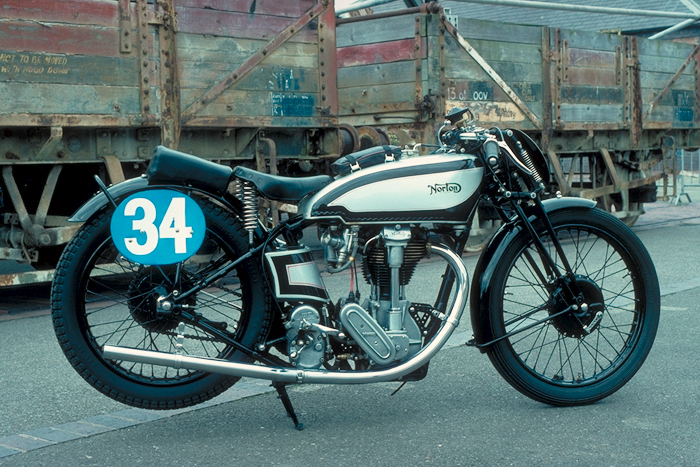 The term 'Manx' for the 350cc Model 40M and 500cc Model 30M was originally used in 1938, and by this time the works bikes were hugely successful in both the Isle of Man and major races in Europe. By the late '40s, it looked as if the multi-cylinder machines were about to sweep singles aside, but then the Featherbed frame was introduced onto the Norton works bikes in 1950, replacing the older 'garden gate' frame, and giving them a new lease of life. It was also introduced onto the production Manx for sale the following year. 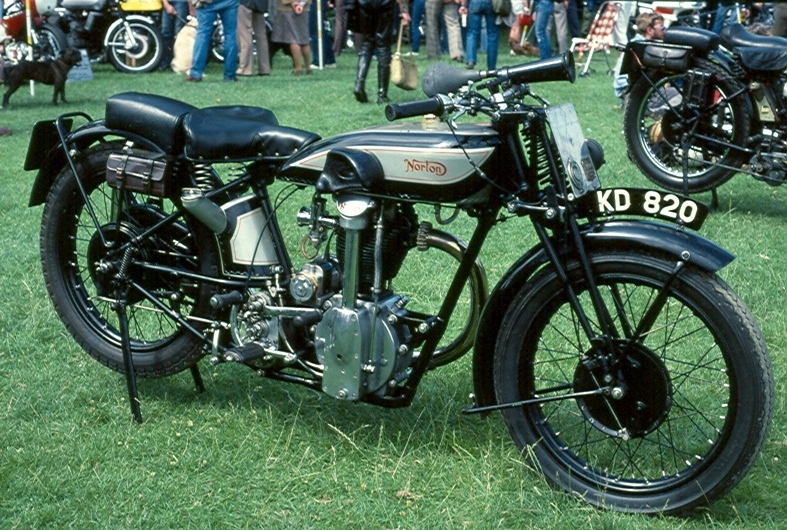 The Manx had already departed from the old Inter design when the DOHC engine originally seen on the pre-war works bikes was incorporated in 1949. Further refinements were to follow; the Amal GP carburettor in 1952, a welded rear subframe and short stroke engine producing 34 b.h.p. and with the integral bevel housing in 1954. In 1958, the AMC gearbox was fitted in order to standardise it with the parent company's 7R and G50 racing machines. 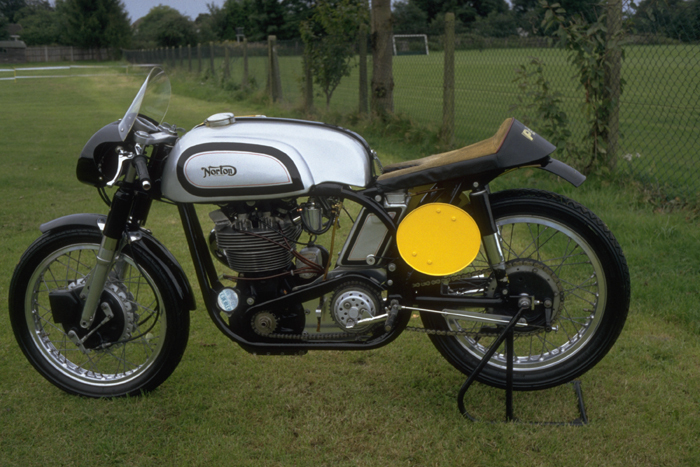 Winner of countless races in both the 350cc and 500cc classes, the Manx took the development of the single cylinder motorcycle to its ultimate.